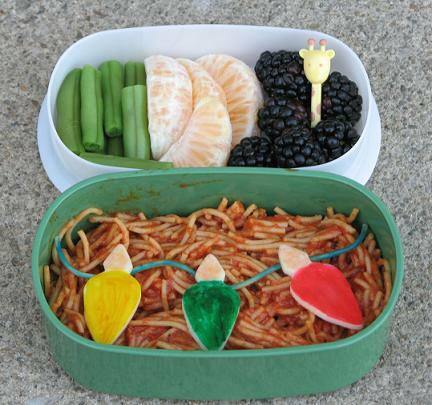 This bento is very appropriate today because I spent all morning trying to hang our lights! I know it may seem late to some people but I did try almost a week ago to do it but they fell down! And then it was too cold to try again. But they are up now! yay! How festive! Good job getting the lights up! Those lights make your bento very colorful bright Jenn, good one!